Inaugural Session From left to right:Meenu Bhambhani,Vice President & Head – CSR, Mphasis; Vineel Krishna,IAS, CEO, Bhubaneswar Smart City Limited;Javed Abidi,Honorary Director,NCPEDP; Sruti Mohapatra, Chief Executive, Swabhiman. James Thurston,Vice – President, G3ict addressing the participants on Global Trends in Accessible Smart Cities. Shilpi Kapoor, Founder Director, BarrierBreak speaking on the Role of Information and Technology in Built Environment. 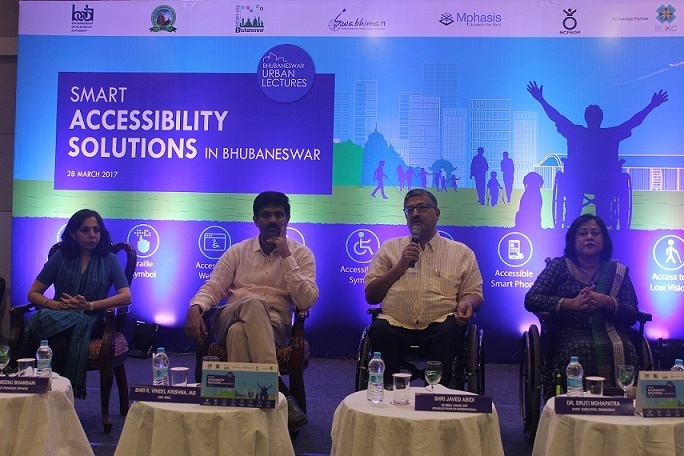 Meenu Bhambhani, Vice President & Head – CSR, Mphasis on accessibility guidelines for digital inclusion of persons with disabilities. Dr. Krishan Kumar, Vice-Chairman, Bhubaneswar Development Authority addressing the participants. Sandeep V., Urban Planner, IBI Group and Team presenting Bhubaneswar Smart City Proposal. From Left to Right: B.S Chayani, Additional, Commissioner,Bhubaneswar Development Authority, Odisha; Javed Abidi, Honorary Director, NCPEDP; Dr. Sruti Mohapatra, Chief Executive, Swabhiman. 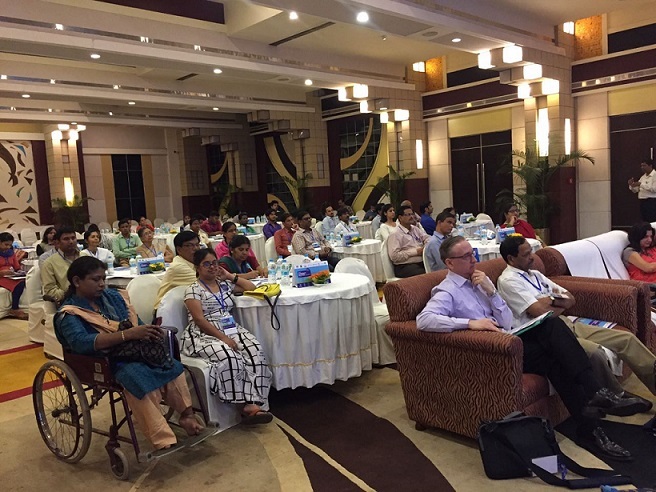 Participants at the Seminar on Smart Accessibility Solutions in Bhubaneswar.